Ships today if you order in the next 8 hours 4 minutes. 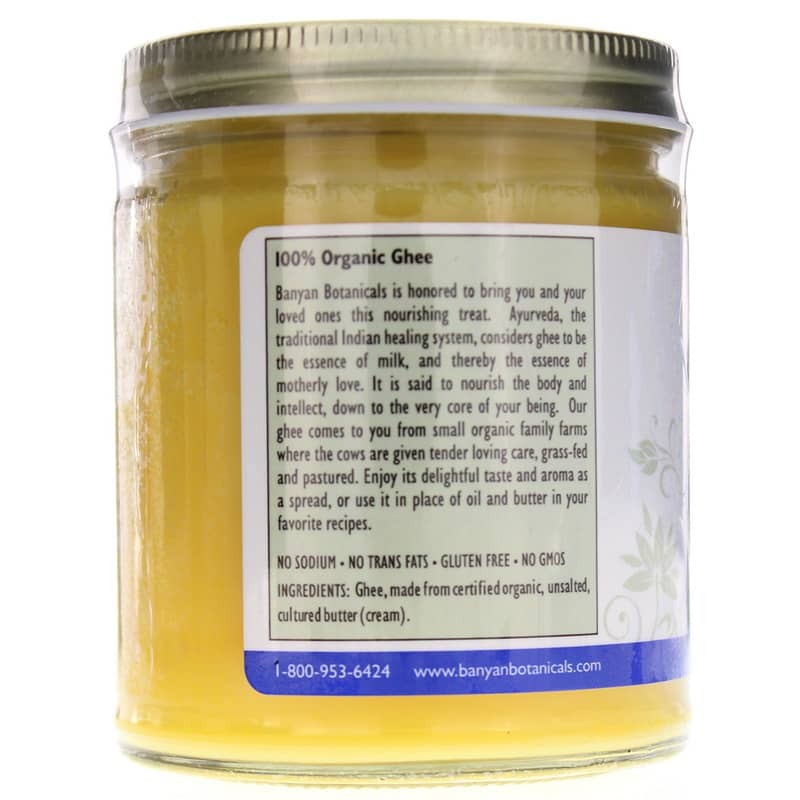 Organic Ghee Clarified Butter by Banyan Botanicals is made from 100% organic sweet cream butter from grass-fed cows on small family farms. 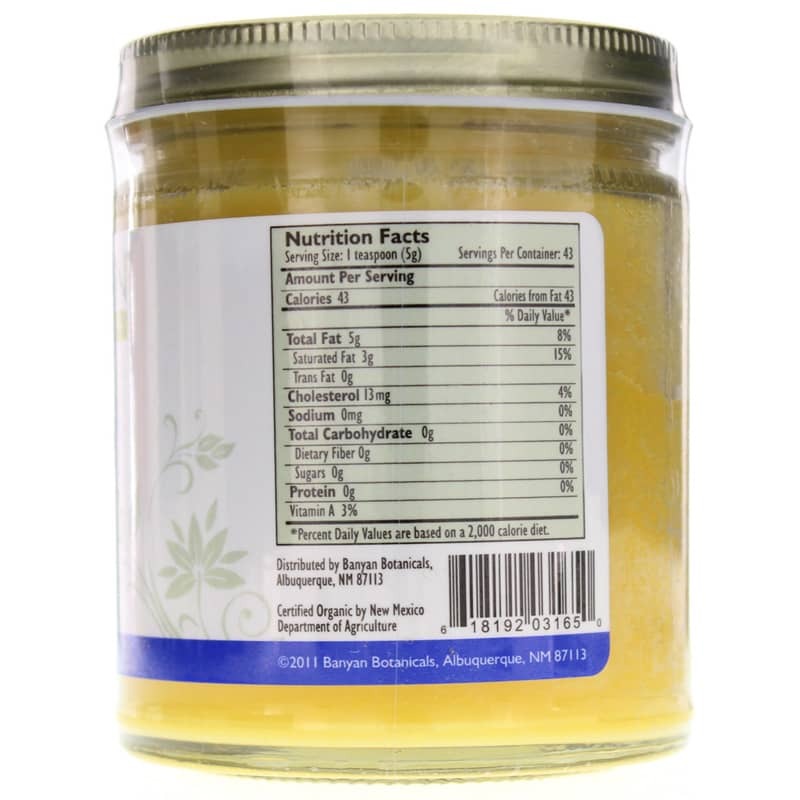 Ghee has long been considered a deeply nourishing food by Ayurvedic (traditional Indian medicine) practitioners. 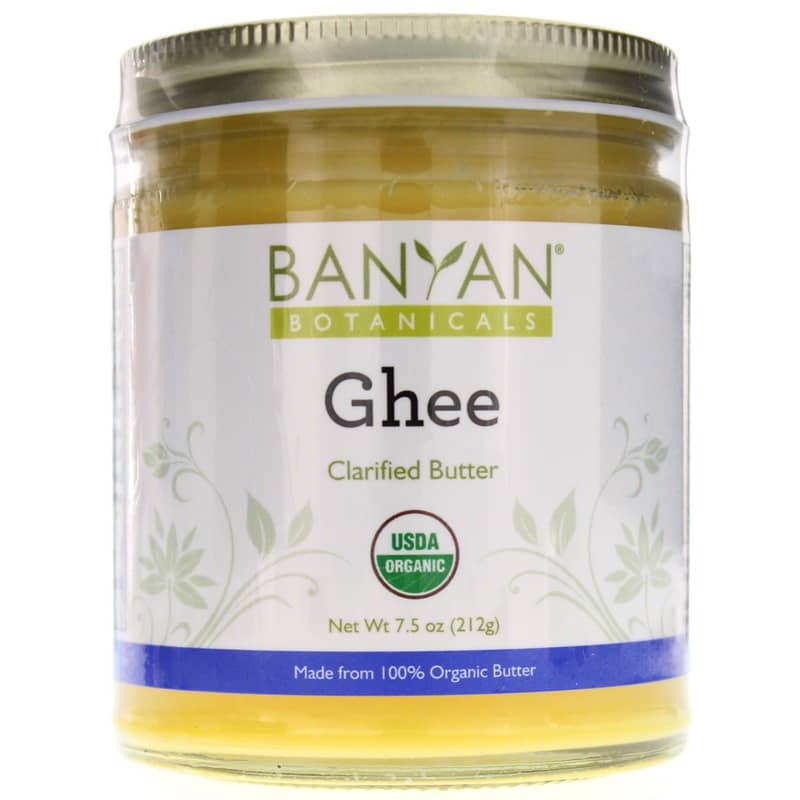 Ghee is butter with the milk solids and water removed by slow simmering, leaving the vitamin and antioxidant rich butterfat intact. Use as a nutritious alternative to regular butter or cooking oils in recipes, spread on bread or melt on vegetables. Some people even like it in their coffee or tea. May also be used to soothe dry skin. Vitamin A 3% Ingredients: 100% Organic Sweet Cream Butter. This is my first time to try Ghee and I have to say that I am impressed and really like it! I ordered this product, as my first, because of the lower price and I am very pleased with it. I use it a lot on baked sweet potatoes and it really gives the potato a rich, fulfilling taste! I will definitely order more!